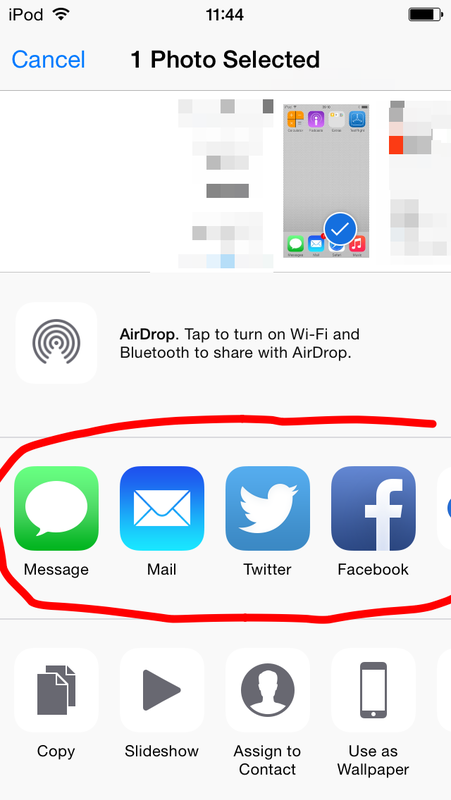 iOS 8 - How to register an app to be included in the system share menu? You'll need to create an app extension. To add a new target to your Xcode app project, choose File > New > Target. In the sidebar on the left side of the new target dialog, choose Application Extension for iOS or OS X. In the pane on the right side of the dialog, Xcode displays the templates you can choose. Not the answer you're looking for? Browse other questions tagged ios iphone share or ask your own question. How to enable file sharing for my app? How to get listed in the iOS 8 system wide share menu? How to register an iOS app for multiple image extensions?